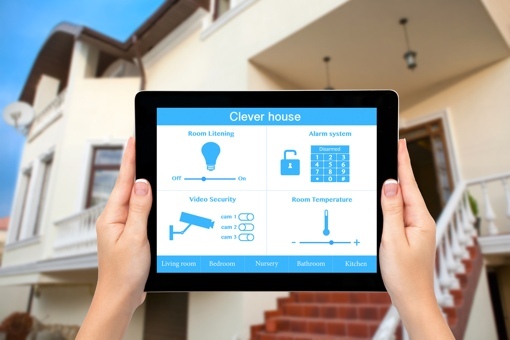 Connected home devices like smart thermostats and WiFi light bulbs are expected to go mainstream in the next five years according to new research from the consulting firm Accenture. Currently, only 4 percent of Americans own a smart home device. That number is expected to grow to 13 percent next year. By the end of 2019, an estimated 69 percent of Americans – more than two in three – will own and use smart home devices. The same study predicts that 43 percent of us will use smart thermostats and 35 percent will use connected security systems in the next five years. Naturally, there have been a few growing pains with connected home tech. Last year, a feature on the Nest Protect smoke detector had to be taken offline following safety concerns. And earlier this year, hackers found a way to break into smart appliances and use them to send spam. Nothing, though, that has stemmed the quickly growing adoption rate. You can learn more about integrating automated appliances into your home by reading our recent guide. Be sure to check out the rest of our recent automation system coverage, too.